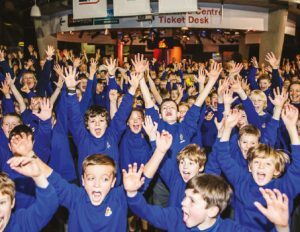 Making a return to Glasgow Science Centre 3rd – 4th November this year is ‘Juniors Giant Sleepover’! There are spaces for 400 Junior Section members to enjoy this fantastic learning and residential experience. This very special event will also be part of our ‘Juniors 100’ celebrations.